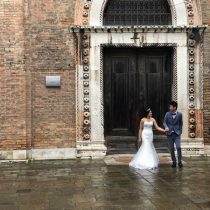 Romantic venice is a package filled with pure romanticism, for those who like to surprise and be surprised, for those who want to love and be loved in the most romantic city in the world. This package is dedicated to all the couples who truly love each other. Charming House thought of a little more cuddling to make your stay unforgettable. Book your package for 2 nights and you will enjoy a gondola ride toasting with a bottle of Champagne, and we will arrange your visit to a typical Murano glass factory..